Are you raising money-savvy kids? 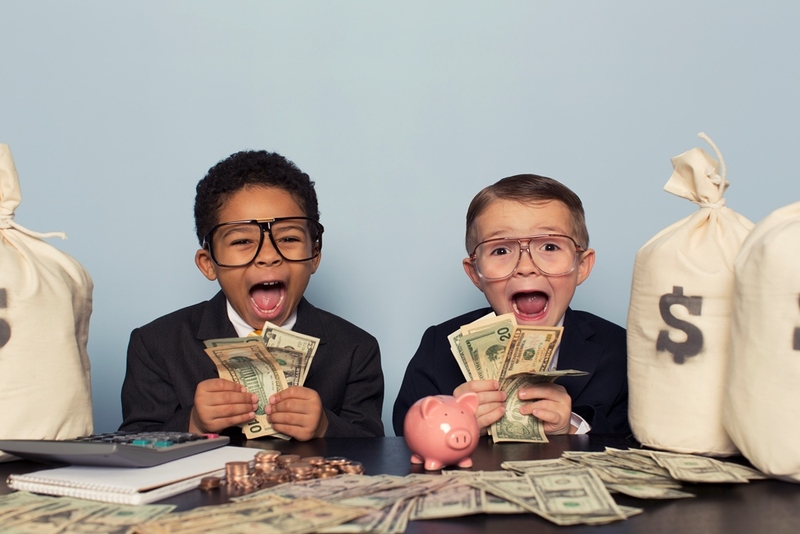 According to David Ramsey, financial expert and co-author of Smart Money Smart Kids: Raising the Next Generation to Win with Money, “Children are sponges—they are going to absorb whatever is around them, so we need to be intentional about what surrounds them.” If you’re looking for ways to be intentional about giving your kids the money smarts they need, here are three important lessons you can start teaching them early on. Knowing how to budget – ensuring that your spending doesn’t exceed your income – is key to your children’s future financial success, and equipping them with this valuable tool can be loads of fun. Playing ‘Shop’ is always a hit with little kids, and putting price tags on store cupboard items is a great way to teach them to spend what they have. It’s also a valuable lesson for when they gain access to credit in the future. Once your kids are old enough to earn pocket money, think about trying this popular approach: Give them three jars labelled Spend (to be used immediately), Save (for bigger items to be bought in the future) and Share (to put towards a charity your child cares about). It’s a wonderfully visual way to teach some very important financial lessons. While you’re teaching your children about spending, saving and sharing, take some time to underline the idea that patience pays off. Encourage them to save up for something they really want, rather than spend their money on something they can afford right now, just because their money is burning a hole in their pocket. Teaching them this lesson will help them save for big ticket items once they’re financially independent instead of whipping out their credit cards and landing themselves in debt. While we’re certainly not suggesting that you include them in everything – your salary, for example, may be something you decide to keep close to your chest – it can be helpful to start making children, especially teenagers, aware of the kinds of expenses they’ll be responsible for one day. By helping them to understand day-to-day and monthly expenses, it’ll also help them to understand why there isn’t always money available for a weekend outing or a new item of clothing. If your kids are still too small to grasp this lesson, start by taking them shopping with you and getting them to compare the prices of similar products. Not only will they have loads of fun hitting the aisles with you, they’ll also be expert bargain hunters in no time!